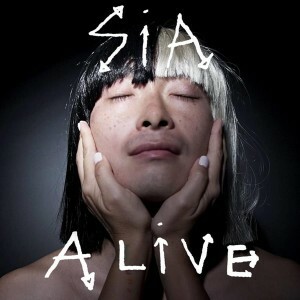 It was past our collective bedtimes here on the East Coast late last night when Sia dropped the much-anticipated music video for her latest single ‘Alive’. And while young Maddie Ziegler’s contract looks to have been terminated, up steps nine year old actress and dancer Mahiro Takano to don the trademark wig in another captivating clip, this time filmed in Chibo, Japan. Though the set-up is relatively simple… in a stark industrial room with very few furnishings, it’s entirely watchable, as Mahiro (who looks years younger than she is) busts out some seriously impressive martial arts moves.